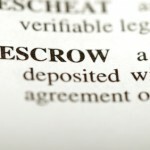 Selling Your Home While in Chapter 13 Bankruptcy: What Do You Need for Escrow? I am a real estate agent in Los Angeles. 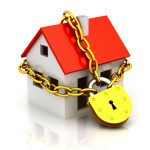 I have a client listing his home for sale with me and he is in Chapter 13 bankruptcy. We have a buyer and are in escrow. 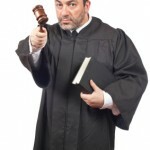 What do I need from the bankruptcy judge in order to complete the sale? My client’s bankruptcy lawyer won’t return my calls. In order for escrow to close, you need a court order from the bankruptcy judge authorizing the sale of your client’s home. How to Get the Court Order? Your client’s attorney must file a written motion with the court. After that, you can expect to wait at least 17 days before the court issues the order. If the bankruptcy lawyer is MIA, then your client should hire another lawyer to handle the motion for permission to sell real property. That lawyer will need you to provide a copy of the escrow instructions and an estimated closing statement. 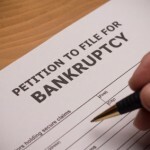 Does Your Client Need Another Chapter 13 Bankruptcy Lawyer? The sale of your client’s home might affect certain aspects of his bankruptcy case, and he might need additional help from a bankruptcy lawyer. For example, perhaps the sale proceeds can be used to pay the client’s creditors in full and end the bankruptcy case early. Or he might need to modify his Chapter 13 plan payments. An experienced Chapter 13 lawyer will know what to do. Can I Get Title to Building When Owner-Lender Dies? Six years ago I bought an 11-unit apartment building in Los Angeles, California. The seller carried a note for most of the purchase price. The seller died a month after I bought the property, which was six years ago. I don’t know who to pay and no one has contacted me for the note payments. I have paid nothing on the note for these past six years. Can I file a quiet title lawsuit or adverse possession or some other kind of lawsuit to get free and clear title to my building? The Los Angeles County Public Guardian is the branch of government that deals with unclaimed property when the owner has died. You need to notify them. They can open a probate case to administer the mortgage for the rightful heirs. If no heirs are found then the mortgage “escheats” to the State of California for the public treasury. 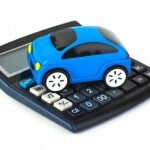 Guest blogger Leon Bayer is a Los Angeles bankruptcy attorney. He is a partner at Bayer, Wishman & Leotta, a California law firm specializing in bankruptcy. The opinions and advice in this blog post are from Mr. Bayer alone, and should not be attributed to Nolo. By answering a question on this blog, Mr. Bayer does not become your lawyer.